There are only 100 days left until TEDxHimi 2016! I am Masaaki Kawamukai, the organizer of TEDxHimi. I have been involved in TEDx since TEDxKyoto was launched in 2012. Since then I have assisted at various TEDx events in Japan and also had the opportunity to join TEDActive 2014 in Canada last year. The greater my involvement with the TEDx organisers from around the world, the stronger my desire to hold a TEDx event in Himi, the town I live in, became. Eventually, I decided to apply for a TEDx license. TEDx is not simply an event that people attend to listen to speeches, but rather, an event in which speakers, participants, partner companies, and volunteers all join together and build a community. The core principle of TEDx is the notion of “ideas worth spreading”. So ideas are everything. Just as in Silicon Valley, where ambitious start-ups are intent on changing society, at TED and TEDx people come up on stage with their ideas to make the world a better place. Participants of TED and TEDx are also people who have great, unique ideas and support activities in their local community. Through exchange and interaction with one another, they refine their “ideas worth spreading” in a combined effort. The first TEDx event in Japan took place in 2009, and now, we are at last organising TEDx here, in the Hokuriku region, for the first time. Himi is famous for its outstanding variety of fish: kanburi (yellowtails) in winter, kuromaguro (bluefin tuna) in summer, and even its own unique variety, himi-iwashi which is cited in the dictionary. This is due to the abundant local environment, created by a balanced integration between the sea and the land, “Satoyama”. 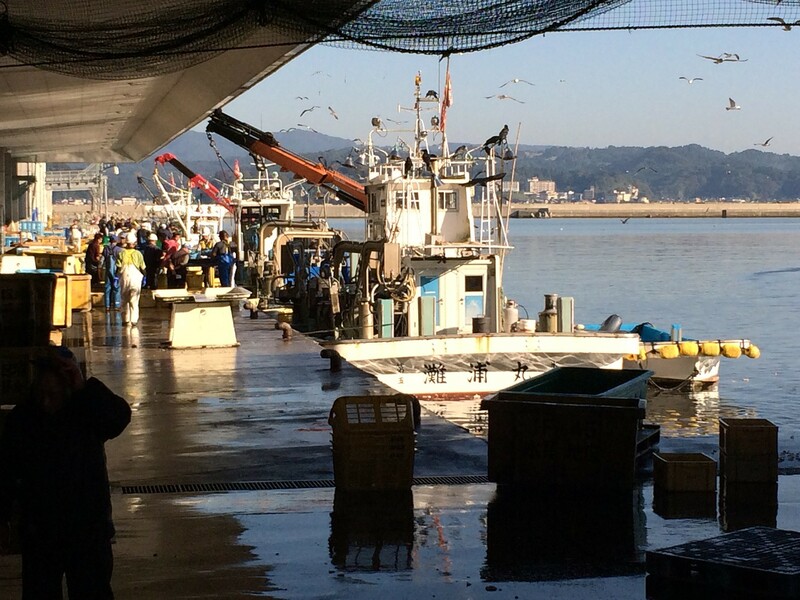 In Himi, fish are a vital resource for the fishing industry. Himi’s Etchu style of fixed shore net fishing is a sustainable method which leverages circulation between the mountains and the ocean. Similarly, since TEDxHimi will be held in such a rich, dynamic and interactive natural environment, all members of the team are collaborating in order to make this a truly unique and synergistic event. How would you like to enjoy exchanging ideas with a wide range of speakers, participants, and volunteers? Again, there are only 100 days left until TEDxHimi. We are looking forward to seeing you there! Let’s delight in this event together!